Zen gardens are very low maintenance, and great to build in a troublesome area of your yard. Since zen rock gardens are mostly made using stone and gravel, they are perfect for a dry area of your yard. 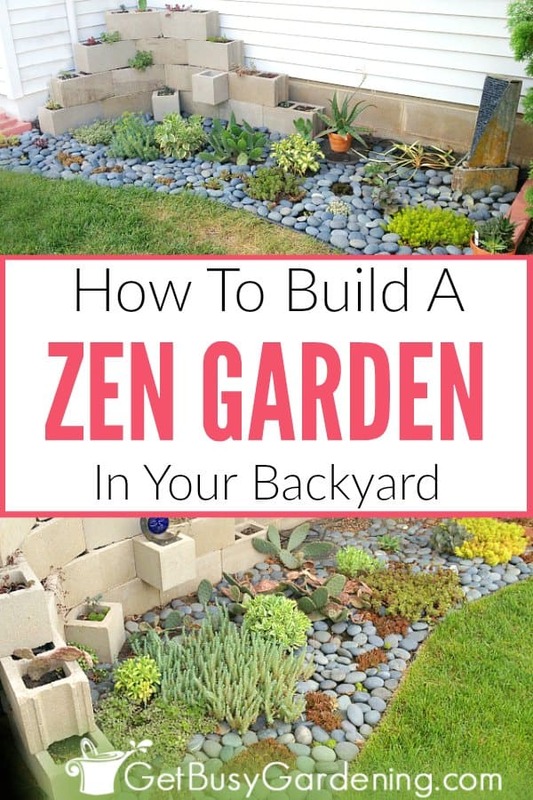 In this post, I will show you how to make a zen garden in your backyard step-by-step. I have an area in my backyard that hardly gets any water. It’s up against the house where it’s protected from most rainfall, and gets full sun all day long. 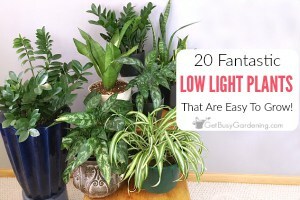 Plus, since it’s in a corner by the house, it gets very hot – so it’s a really tough spot for most garden plants to grow. The inspiration for my DIY zen garden (the solution to my hot, dry, sunny corner) came on a trip to California. I saw a beautiful succulent garden that inspired me, and I knew it would be perfect in my trouble spot. That’s how the idea for my succulent zen garden was born. A Japanese zen garden, also known as a Japanese rock garden, is a calming space designed to represent a mini landscape. Traditionally, a zen rock garden was built using rocks and boulders to represent land and mountains, and gravel which is raked in patterns that create the illusion of water. Many zen rock gardens are made using rock and gravel alone, and don’t contain any plants or water. Plants are an optional part of the design, and using little or no plants is the key is to keep it simple and low maintenance. Originally Japanese rock gardens were created as large outdoor spaces, but these days they can be any size – from an entire backyard to a mini zen garden sitting on your desk. What Is A Zen Garden Used For? Zen gardens are meant to be used for meditation and contemplation. As I already mentioned, gravel is traditionally used, and is raked in ways that represent flowing water. The act of raking patterns into the gravel is soothing, and aids in meditation and relaxation. You could also add a space in the garden where you can sit to meditate, or build the garden next to a relaxing sitting area, but that’s not necessary for a zen garden design. 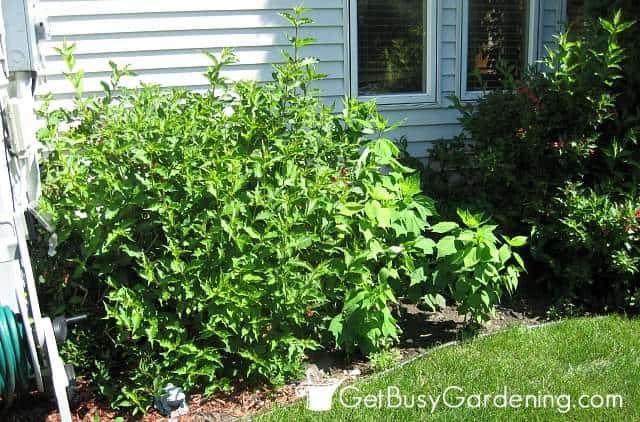 Several years ago, I planted some bushes in the future home of my zen garden, but once they matured, they took over the small space, making it look weedy and overgrown. Ugly right? Well, one thing was for sure – the bushes had to go. After relocating the bushes to a more suitable location (don’t worry, no shrubs were hurt or destroyed for this project), it really opened up the space. It was the perfect size for a small zen garden, and I couldn’t wait to get started. The main elements that make up a zen garden design are rocks and gravel or water. You could also add a statue or other focal point into your garden, a bench for relaxing, and plants of course. Rocks or boulders – Large rocks and boulders represent land and mountains in a traditional zen design. If you have a small space like mine, then stick with using rocks and small boulders so you don’t crowd the space. I needed a tall element in the corner of my garden to cover up some ugly wires and utilities, so I built a large concrete block planter rather than using several large rocks in mine. 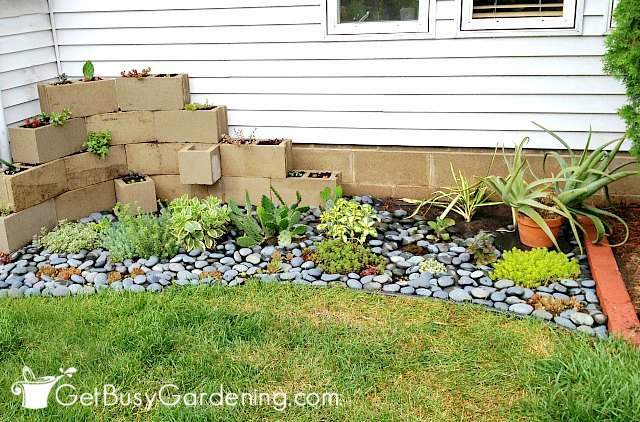 Gravel or a water feature – Gravel is used to represent water in a traditional, but you could use an actual garden water feature instead like I did. On a side note, you could use sand instead of gravel if you want, just keep in mind that sand is lighter weight, so it can blow around in the wind and wash away if there’s a heavy rain. 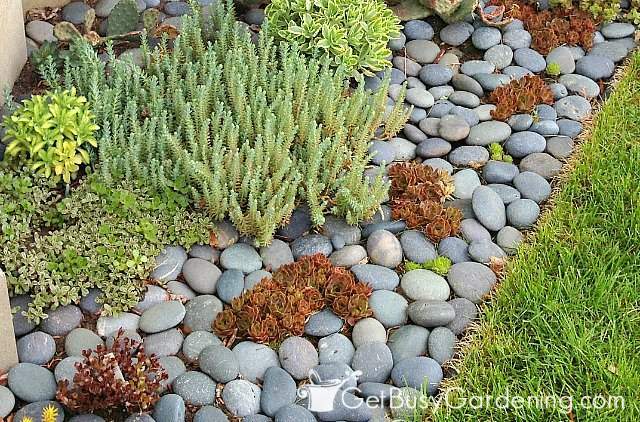 If your backyard zen garden is in a well protected area, then sand might work fine. But crushed stone or small pebbles are usually a better choice. Bench, statue or other focal element (optional) – If your garden is large enough, you can add a sitting bench, a statue, or some other focal element to the garden to aid with relaxation and meditation. Totally up to you. Zen Garden Plants (optional) – If you want to create a more traditional Japanese rock garden, then skip the plants. Otherwise, choose plants that will work in the space and location of your garden. 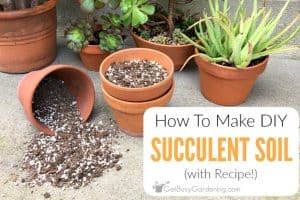 I chose to use hardy cactus and succulent plants since my garden area is hot and dry and gets full sun. I used a mix different plants in my planter and in the ground. 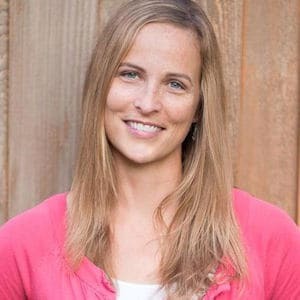 Learn how to determine the sun exposure of your garden. It’s actually pretty easy to build a small backyard zen garden like mine. Obviously the larger you go, the more complex your project will become. But here are the basic steps to take to build your own zen garden. Step 1. Clear the space – Once you choose an area in your yard for your garden, clear away any plants, grass or weeds that are currently growing there. Then rake the soil so it’s flat and fairly level. 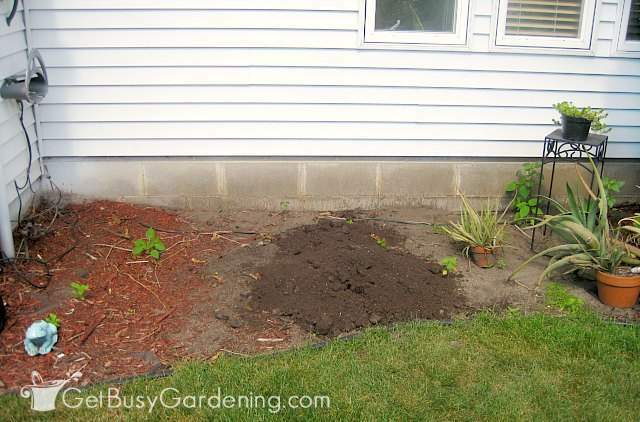 Now would be a great time to add edging around the garden to keep grass and weeds from creeping in, if necessary. 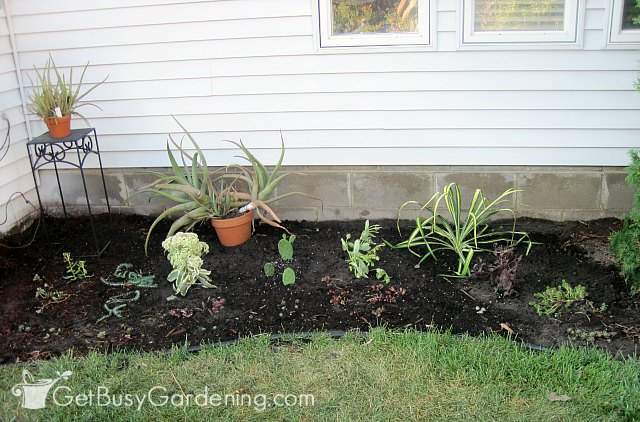 Mine was already edged with plastic edging (plastic edging really helps to cut down the cost if you want to make a zen garden on a budget), but you could use rock or some other decorative edging for yours instead. Step 2. Add the large stones and feature elements – The next thing to do is figure out where all of the largest features of the garden will go. So, if you have large boulders, a statute, planter or bench, figure out the placement of everything. Sometimes sketching your design on paper helps to figure it all out. But remember, you’re going for simplicity and minimalism here, so try not to add too many elements to your zen garden. Keeping it simple will make this step much easier too. Step 3 – Add the gravel or a water feature – If you’re using gravel to give the illusion of water in your zen garden, make sure you lay it in a curved pattern, rather than making it straight. Water doesn’t flow straight, so the windier you can make it, the better. Otherwise, you can add an actual water feature instead of gravel, like I did with mine. It doesn’t have to be anything fancy, a simple garden fountain would work. Just be sure to choose something that fits well in the space, you don’t want the water feature to be too large or it could be overpowering. If you decide to use gravel in your backyard zen garden instead of an actual water feature, you’ll have the added benefit of being able to rake it and draw flowing patterns in the gravel to help with meditation, just like in a traditional zen garden. I also planted a few hardy succulents and cacti in the ground, and have a couple of potted succulent plants sitting around the garden too. This is more plants than you would see in a traditional Japanese zen garden, but that’s ok. 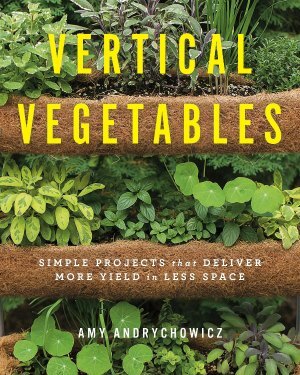 There are no set rules, so design it as you like – as long as it doesn’t become overgrown when the plants fill in. Step 5 – Lay smaller stones over the top of the soil – This is the finishing touch, and really pulls your zen garden together. I used medium sized gray river rock in my garden. I laid each rock flat, and was careful not to create any kind of pattern. You certainly could create a pattern with your rock if you want, or you could lay them vertically side by side instead of laying them flat like I did (which means you’ll need a lot more rocks, so be sure to factor that into your budget. The river rock was the most expensive part of my project). Just be sure to cover the soil with rock completely. That’s it, now you can sit back and enjoy your backyard zen garden. Even if you don’t use it for active meditation, you’ll find that it’s a calming space in your yard. 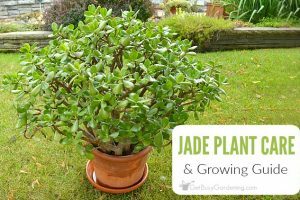 And the best part is that it requires very little maintenance, especially if you created a succulent zen garden like mine, or stuck to making a traditional Japanese rock garden without using any plants. 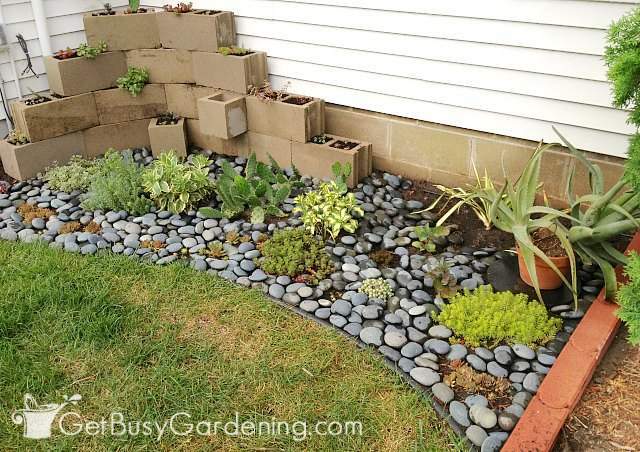 An outdoor zen garden is great project for anyone who has a trouble spot in their yard where little else will grow. It’s also perfect for those who are looking to build a low maintenance garden, or simply want a beautiful space where they can relax, meditate and get their garden zen on. 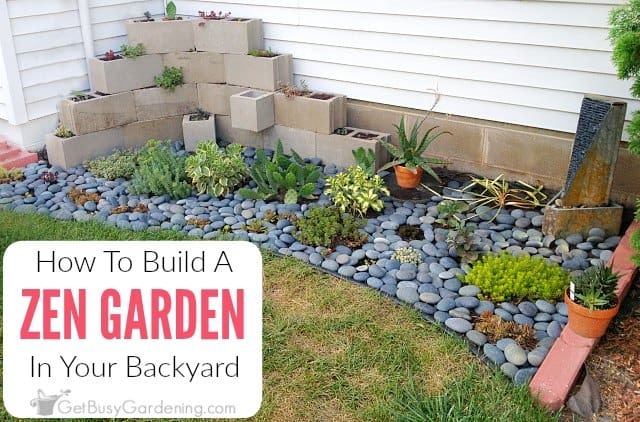 What do you think, will you make your own zen garden in your backyard? Share your thoughts and ideas in the comments section below. I think your zen garden looks fantastic, well done. Being originally from the Southern California area, I'm used to seeing low-maintenance and water free succulent garden areas like this, but yours is probably pretty unique for Minnesota. Thank you! Yes, you don't see many succulent gardens in Minnesota, especially zen gardens. I am envious of the gardens in CA, I wish I could grow those types of plants in my gardens! I love this! Once it fills out I bet your going to want a little bench to sit close and really enjoy it! I started a rock and wine bottle garden around some trees that were so ugly this spring. I've been filling it in with succulents and different creeping things. I love the process of watching things grow, AND I wish they'd hurry up! Thanks! We're actually considering putting in a patio right next to the garden. That would be a great spot to sit and relax, and maybe even meditate. LOL, I wish some of the plants would hurry up and grow too… and others would slow down. It's funny how that works! 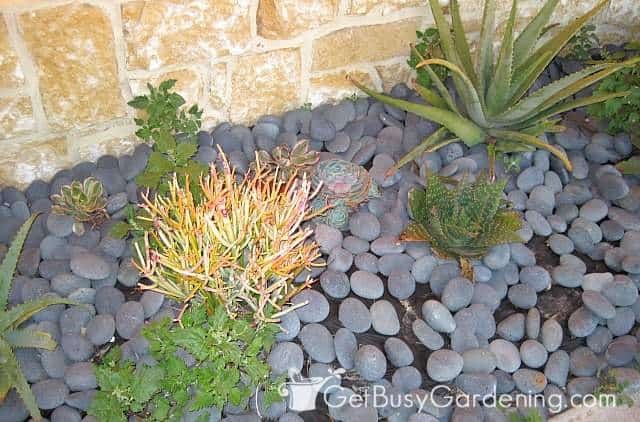 I love how your succulent zen garden turned out for you. Complete transformation. You have given me some inspiration and idea's for one of my "unappealing" area's of the yard!! Thank you! Yeah! I love that I inspired you. Please share your pictures once you're done, I would love to see your transformation too. Oh, I like it! I might just have to "borrow" and adapt the concept. I do have one spot under the eaves that doesn't get much water. Very nice, Amy! looks good… we have a similar area** in the works! 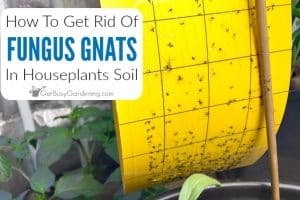 How do you control the 10’s of 1000’s of ANTS that try to take over? I don’t have that problem, but if you want to kill them, you could try pouring boiling water on their nests. (Be careful of your plants though) I know there are also natural ant deterrents and poisons, but I don’t have any recipes I can share (sorry).